Picture perfect free standing home on an idyllic Old Town block. White picket fence and all! This home was totally renovated in 2006/2007 to include a large rear addition for a big family room and master suite. Main level offers formal living room with a fireplace and built-ins, spacious office with custom desk space, bright kitchen with top end appliances, separate breakfast area, and a huge great room. Three bedrooms downstairs, including a spacious master suite with great closet and a spa bath with heated floors. Newer two car garage with deck. Great space for a dog run and even a small front yard space. 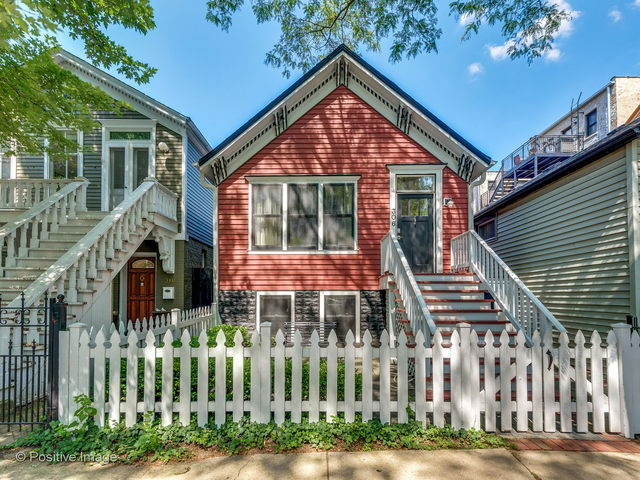 Walk to all that Old Town/Lincoln Park has to offer! Lincoln Schools!